Kaczor, Christopher, The Ethics of Abortion: Women’s Rights, Human Life, and the Question of Justice (Routledge, 2011). Christopher Kaczor sets out in this work to present a methodical case against abortion from a strictly philosophical perspective. He proceeds by patiently engaging those pro-choice authors whose arguments have proven to be among the most persuasive in the abortion debate. His express aim is to attend to each of these dominant opinions and judgments thoroughly until their own self-contradictions or dire implications come to the surface, at which point their provisional reasonableness is radically undermined. He is explicit about the scope of his approach to the issue of abortion; the primary question that guides his study is simply whether abortion is morally legitimate. By appealing solely to reason rather than to revealed truths or theological reflection, and by restricting the range of his arguments to philosophy rather than including data or paradigms from, say, sociology, Kaczor admirably seeks to enter into conversation with those whose commitments are otherwise different from his own. Acknowledging the kind of suffering that can lead to, accompany, and follow upon abortion, as well as the intimate nature of this event for those directly involved, from the outset the author distinguishes culpability from the morality of the act itself. There can be many factors that mitigate an individual’s culpability, but Kaczor rightly points to the concreteness of the action as having inevitable consequences for the agent’s very being. One’s destruction of anything inviolable is, in this sense, immediately a self-wounding or self-disfigurement. With this in mind, Kaczor clarifies the decisive problem around which the abortion debate revolves—whether abortion is good or not—without undermining a concern for those whose suffering or fear leads them to take this measure, and without letting his rhetoric ever devolve into denunciation. Indeed, his understanding of morality allows him to place this work at the service of the well-being of all who may in some way participate in an abortion. Since he is asking about the morality of the act itself, he also does not base his claims on the physical or psychological well-being of women who do or do not have an abortion, even if he does give attention to this at places in the book. He is interested rather in the flourishing of human persons, their moral and ontological well-being, which comes with enacting and being conformed to the good, even and perhaps especially under extremely adverse conditions and challenges to this enactment. Focusing on the act of abortion itself, rather than on the intentionality of the agent or on extenuating circumstances surrounding the act, Kaczor is also able to direct his inquiry to the primary standard according to which the morality of abortion must be judged: personhood. In what does personhood consist and what qualifies a human being as a person? How is personhood recognized and what kind of response is called for by the reality of the person? As this work helps to show, the most important contributions from both sides of the debate have all had to grapple with such fundamental questions. Provided that the killing of an innocent person is always evil, and provided that a human being is in all cases a person, then no other principles or conditions could ever be invoked to justify a ‘direct’ abortion. Kaczor often points out that virtually all involved in the debate acknowledge the genetic humanity of the conceptus. He cites no less staunch an advocate for abortion (and infanticide) than Peter Singer, who plainly admits that “there is no doubt that from the first moments of its existence an embryo conceived from human sperm and egg is a human being” (cited on p.7). The relevant issue is, therefore, at what point and in what respect a human being is a person. In the first several chapters Kaczor examines and rebuts opinions that personhood begins after birth (Chapter 2), at birth (Chapter 3), and during pregnancy (Chapter 4), before offering a case for conception as the beginning of personhood (Chapter 5). As noted above, the humanity of the conceived zygote is biologically incontrovertible. How then are we to determine personhood? Proposals for identifiable markers of personhood that are common both to those who defend infanticide and to more moderate theorists of the pro-choice position include such human attributes and activities as self-awareness, discursive reasoning, intentional desire, concept-formation, communication, moral agency, future planning, sentience (the capacity for pleasure and pain), and physical movement, among others. Many of these would disqualify the newborn infant or even the young child. Depending on what combination of markers a given theorist posits as definitive, he may also run into difficulties when accounting for the personal dignity of the unconscious, the mentally disabled, the comatose, the emotionally disturbed, those with brain injuries, and even (as Kaczor himself enjoys pointing out) angelic or divine persons. Reliance on these emergent capacities for a standard of personhood leads to the difficulty of needing to determine gradations of personhood in a single individual, such that we can be confident that a point is eventually reached at which the human definitively possesses dignity and a right to life. Another chief problem raised by such criteria is that they force us to ask about degrees of personhood from one individual to another. If human persons each exercise these properties or capacities differently, then none share the same moral (or ontological) status. Similarly, these criteria fall prey to the ‘episodic problem,’ which indicates the possibility of transition from and back to personhood. In short, Kaczor exposes the vertiginous contortions to which defenders of abortion are forced to resort when attempting to deny that some human beings are not persons. His scrutiny of these divergent proposals serves as its own compendium of pro-choice stances, and sheds light on presuppositions they inevitably share despite their apparent disagreements. 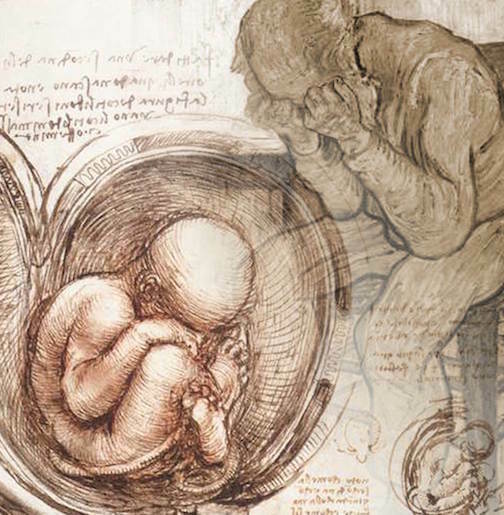 At the heart of the book - the fifth chapter, entitled “Does Human Personhood Begin at Conception?” - Kaczor makes a crucial distinction between two competing accounts of personhood. The first he refers to as the “performative account,” a term which describes all those perspectives that grant personhood to humans based on a particular activity that they manifestly exercise. The other, the “endowment account,” speaks of personhood as an intrinsic character that is constitutive of all humans whatsoever by virtue of their very existence. The endowment account is comprehensive enough to justify the personhood of all those in whom human maturation is disrupted in one way or another. While the author seldom makes it explicit, the endowment account understands personhood ontologically. From this standpoint, all appearances that offer evidence of a given being’s humanity, however basic, express personhood, since being a person orders the human from his substantial ground. By contrast, we could speak of personhood on the ‘performative account’ as itself merely accidental, rather than that which is recognizable and worthy of reverence in all accidents of the human being. The performative account is incapable of providing a sure foundation for the protection of all innocent human beings from mistreatment and violence, since it would lead to the aforementioned problems of gradations and episodicity. The pivotal point for Kaczor is that even if the ‘performance’ of an individual falls short of this flourishing in some way, the human is never potentially a rational being, but always already an actual person. What this means is that the rationality and freedom that characterize the fully-defined (‘perfected’) human being already shape the body from the roots of its organic life and in its most incipient state, even if the individual’s capacity for intellectual or voluntary activity is somehow impeded or fails to fully develop. It is from this hylomorphic vantage-point that Kaczor offers clarifications in response to such objections against constitutive personhood as the vast developmental changes from embryo to adult, or the seemingly vexing problems presented by “twinning” and “fusion” of embryonic persons (Chapter 6). Kaczor’s method could be favorably regarded as a pedagogy in ‘seeing’ or ‘awakening to’ the reality of persons. “Awakening to reality” (Erwachen zur Wirklichkeit) is a metaphor coined by the German philosopher Robert Spaemann to describe the beginnings of the ethical life as a response to the goodness of a world of fellow beings. I find the term applicable to the maieutics through which Kaczor leads his readers in The Ethics of Abortion, which is to culminate in the acceptance that the personhood of all human beings can be known. Once one is ‘awake’ to this reality, the convicting evidence of the person shows itself radiantly, and calls forth a fitting response. One of the lacunae of this work, however, occurs precisely with respect to Kaczor’s use of the term person. While he makes clear that his approach does not first concern the legality of abortion but its morality, he is still willing to speak of this morality in terms of the rights of persons. To be sure, he thinks of the right to life as inalienable, and he ultimately grants that persons possess rights and dignity in view of their always-actual rational nature and their intrinsic directedness towards flourishing. At the same time, he never spells out the relationship between the person’s metaphysical constitution and her belonging to a ‘moral community.’ It would be worthwhile for him to consider further the long-term dangers and possible misuses of rights-language, even if it can serve as a premise that he can expect his intended interlocutors to share with him. The ambiguity in his understanding of the person comes out in occasional appeals to egalitarian convictions as support for his claims. On what basis, it might be asked, ought we agree that all men are created equal? In the end, we must do more than allude to the practical debacles that would result from failing to assent to this truth, for it is a metaphysical and theological claim that requires profound justification. The most serious objection to be raised against Kaczor’s work concerns his speculative argument in the final chapter of the book, which asks if artificial wombs could end the abortion debate. In brief, Kaczor argues here that, were artificial wombs invented, this technology could satisfy both pro-choice and pro-life concerns. An artificial womb would allow for the extraction of a child, and so effectively terminate the mother’s pregnancy, without ending the child’s life. Pro-lifers might object to the artificiality of this procedure, its unnaturality, but he deconstructs several attempts to contest its morality. Kaczor himself regards his approach here as “exploratory” rather than demonstrative. The point of this hypothetical exercise is, I take it, to establish a common ground or aim for all those engaged in the debate. The basic problem that Kaczor does not sufficiently consider (even if he gives it a nod) is the meaning of maternity and gestation in the womb, and their relation to personhood. Even if the instrument of an artificial womb is medically useful, and in extreme cases may save children from death, the question of what it means for a child to grow in such conditions, in isolation from his or her biological mother, must still be contemplated before it is proposed as a viable alternative to abortion. In other words, either ethics is too narrow to deal with this issue, or else the weight of the matter demands a more capacious notion of ethical judgment than is given here. While the argument against abortion can be sustained by reason alone, religion is not irrelevant to illuminating these natural truths. In the first place, it should be affirmed, in support of Kaczor’s accomplishments here, that no appeal to revelation is necessary to substantiate the claim of the fetal child’s personhood. It is also the case, however, that the deepest significance of human life and its beginning cannot be contemplated independent of knowledge of its Creator, who is knowable by reason and hence is not beyond the purview of a philosophical treatise. Furthermore, it should also be held that knowledge of the Creator as he reveals himself, as a Trinity of persons, will guide and further inform our understanding of creatures and hence of created personhood. If a false ontology blinds people to the reality of persons, this is due both to a deficient exercise of reason and to the effects of sin. It is the light of the personal Logos of the Father, embodied in Jesus Christ, that heals the wounds of sin, restores to fallen man a vision of the good, and enables him to know the mysteries of divine love. So it is that communion with the Trinitarian God in Christ most fully ‘awakens’ one to persons, as well as to the ultimate foundation for creaturely dependence and vulnerability, the goodness of begetting and parenthood, and the inviolability of the enwombed child. Erik van Versendaal is a PhD student at the Pontifical John Paul II Institute for Studies on Marriage and Family at the Catholic University of America.